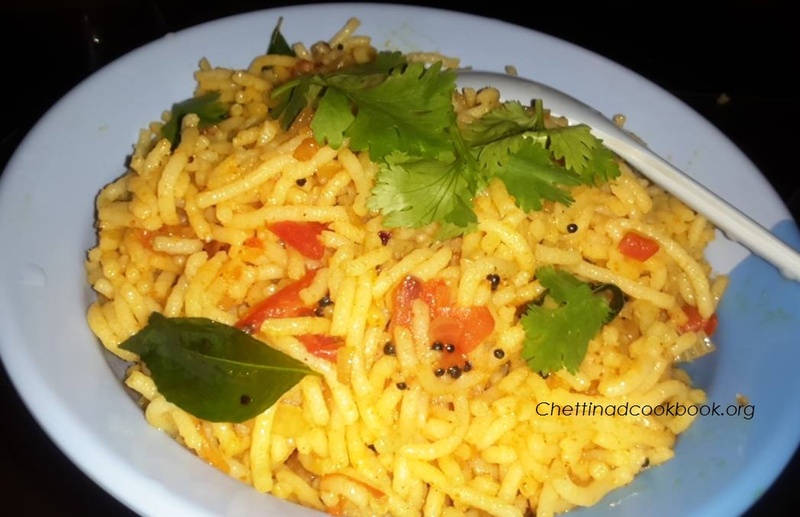 Idiyappam is made out of rice flour is known as Rice sevai in other part of Tamilnadu.It is famous traditional food served as breakfast in Marriages and gatherings. Masala Idiyappam will be aromatic and palatable food with mild flavoured spices.No need of any side dish,this can be matched with cucumber raitha.Apart from everyone’s regular daily food, Iddiyappam is a preferred food for infants, and people who are recovering from illnesses liked by all with different flavouring.This is a healthy nutritional food if consumed in correct quantity. Boil water in a vessel when it bubbles add this gradually to the rice flour. In a vessel , keep the flour mixed with salt.Add this water little by little to the flour and mix well with a ladle..Do not pour all the water,you may get some excess water remaining.I used 1.5 cups of water for 1 cup of rice flour. It may vary . The quantity of flour will increases gradually,while mixing. When the dough becomes warm start kneading with your hands and you will be able to roll a non-sticky and soft yet firm dough. Now take the idiyappam press and fill the dough .Squeeze it on to the idli plate. Place it on boiling water in Idly pot and cook for 3 miutes. Transfer to a wide bowl serve with milk grated Coconut,ghee and Sugar for sweet. Idiyappam-2 bowls for serving 2 person. Heat pan with 1 tbsp of oil temper with Mustard seeds and Urad dal when it splutters add curry leaves chopped Onion and Tomato saute well until it gets smashed. Add Salt Turmeric powder and Garam masala powder sprinkle some water and cook for a while. Add Idiyappam in it and stir gently, in low flame for 2 minutes. 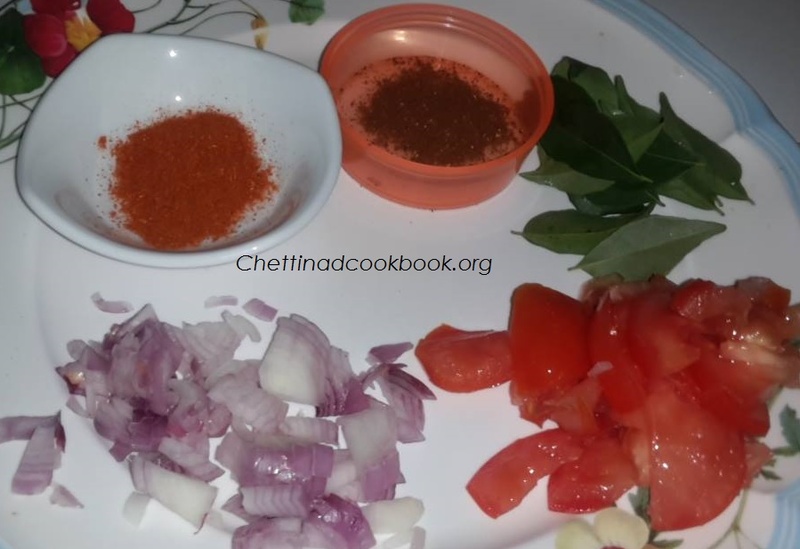 Sprinkle chopped Coriander and serve with Onion or Cucumber Raitha.